Relating to your clients is one of the most valuable tools you can have as an insurance agent. 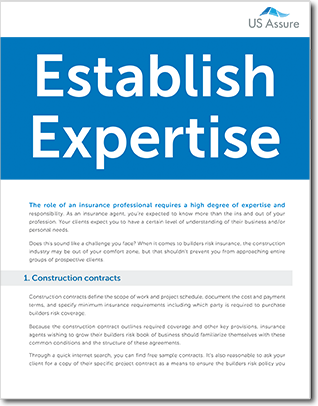 When you sell builders risk coverage, a degree of knowledge about the construction industry can be extremely helpful when identifying clients’ needs and exposures. Don’t let a lack of knowledge prevent you from approaching entire groups of prospective clients. Complete the form to download this free resource and expand your construction industry knowledge today.